The Tracy Brown Chronicles: CAUTION! Once upon a time a woman saw a beautiful snake slithering in the grass. He was colorful, bright, exquisite! She felt that she MUST have him. She decided to pick him up, knowing that she could give him a great home and a wonderful life. So, she took him home and fed him the best snake food, set him up in the best environment. She spoiled him. She trusted him. One day while she slept, the snake slithered over and bit her, sending venom through her veins. She was shocked! As she lay dying, she asked the snake "How could you do this to me after all the good things I've done for you?!" Smiling, the snake replied, "You knew that I was a SNAKE when you picked me up." The moral of the story is: When someone shows you who they are, believe them. 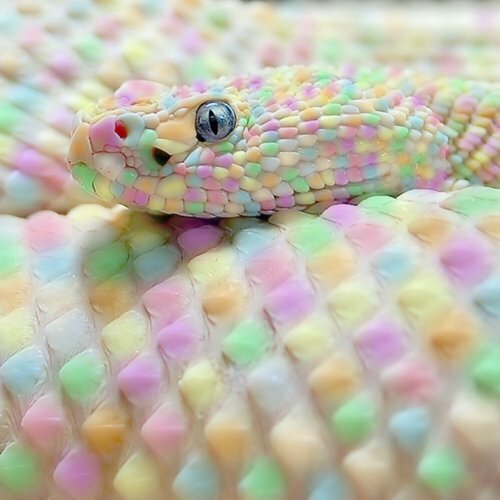 Sure, the snake was beautiful. Sure, the woman had treated the snake kindly. Surely the snake had never led such a charmed life as the one the woman afforded him. But, at the end of the day, it was still a snake. And a snake doesn't change its nature, no matter how well you treat it. There are people in our lives who fit the same profile. Sometimes, we meet people who show us who they are straight out the gate. They show themselves to be mean-spirited, untrustworthy, egotistical, envious, needy, or downright devilish. Often, we see these character flaws and we dismiss them because the person seems not to direct their negative traits at us. We are not the object of their venom. We tell ourselves that we bring out the best in them, that maybe they're not as bad as they seem to be, that perhaps we can change them. Many of us have made this mistake. We get into relationships with men/women who cheated on their significant others and we don't expect them to cheat on us, too. We form friendships with people who never have a positive thing to say about anyone, and we think that we won't fall prey to the same negativity. But the result is always the same. In the end, we're left licking our wounds, suffering through a broken heart, nursing our bruised egos and wondering where we went wrong. Chances are, we ignored the signs that clearly showed us who and what we were dealing with. More often than not, we watched these people turn on other people in their lives time and time again. But we told ourselves that we were different, that we were special. Recently, my son encountered a similar situation. He came into my room one night, sat down on my bed and said, "Ma, tell me that story about the snake again?" I did (in my best melodramatic storytelling voice LOL). He smiled, thanked me and left my room, no doubt applying that lesson to whatever situation he was dealing with. I sat there and thought about my own recent encounters with snakes in the grass. Like the woman in the story, I had allowed some serpents into my midst over the years, seeing the beauty in them. I had enjoyed their alluring ways and their pretty colors. But in the end, they had still revealed themselves to be ugly underneath it all. Unlike the woman in the story, though, by the grace of God, I managed to escape unscathed. After all, I had known they were snakes when I picked them up, and had never lost sight of that fact. I had waited, knowing that eventually they would show their true colors. And I had been right! 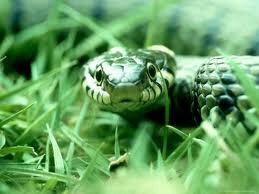 No matter how cleverly disguised they are, be sure to keep an eye out for the snakes in the grass of your life. After all, a snake is a snake. And if you decide to pick one up anyway, keep your guard up, because inevitably it will set its sights on you. I swear you are like a mind reader or maybe the preacher at church! Everytime I read your blogs I feel like its something I needed to read or it's always something I can relate to or that you are talking to me! Keep up the good work! I'm no preacher. LOL But I am grateful to you for reading these blogs. Just my thoughts as I go thru life. The things I blog about are lessons that I learned along the way (usually the hard way:) I'm glad you find them helpful. XOXO, Kiara. Much love!! Hey just so you know. You actually CAN catch a wild snake and tame it to the point where it won't bite. This is a terrible way to misrepresent one of nature's most beautiful creatures.